Again... a cop out tonight! I'm just too bushed and busy tonight to type out notes or drink something new. Although, you could get some previews of a few others on my Untappd account. But I digress. 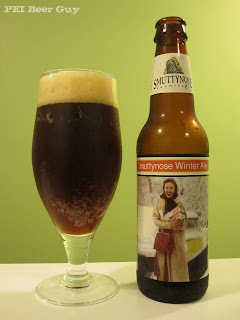 My seventh beer of Christmas is Smuttynose's Winter Ale.